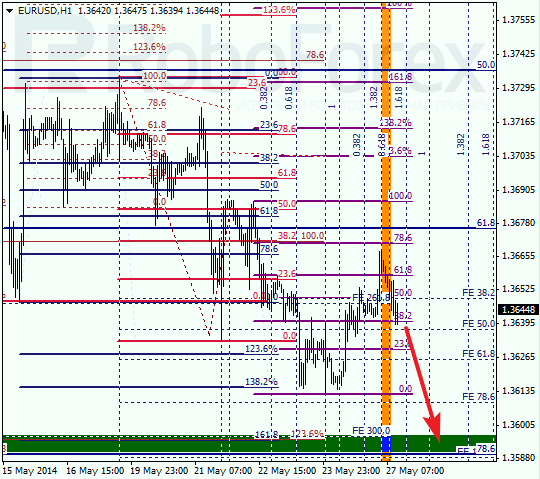 Eurodollar is still being corrected close to the group of lower fibo levels at 1.3600 – 1.3590. Most likely, these targets will be reached in the nearest future. Later price may start new correction. 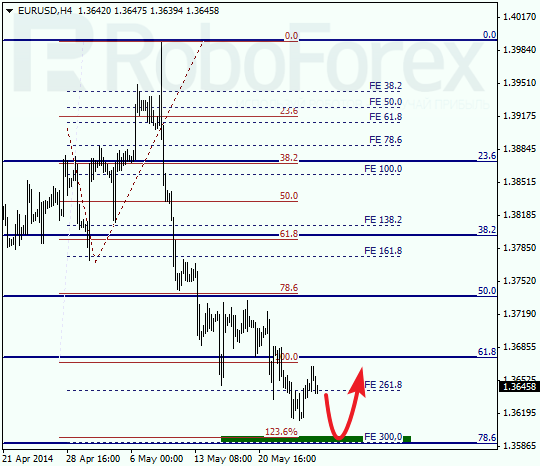 As we can see at H1 chart, price completed local correction between level of 78.6% and 61.8 inside temporary fibo-zone. Possibly, Euro may reach new minimum by Wednesday. We should note that if bears are strong enough to break the group of lower fibo levels, market may continue falling down very fast. 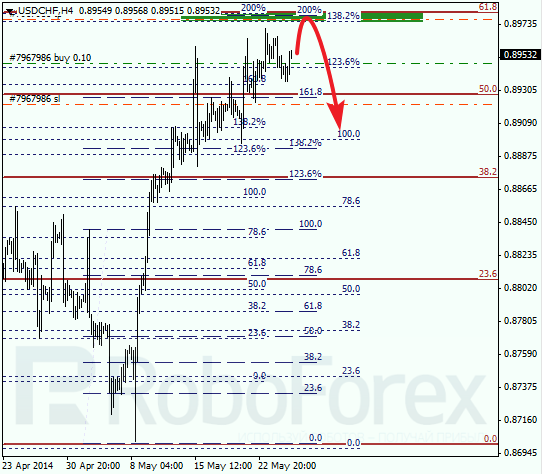 As we can see at H1 chart, price reached temporary fibo-zone and correctional level of 61.8%. Bulls are moving towards new maximum; they may reach it during the day. I’m planning to close my buy order with Take Profit.